Does sesame oil, honey, soy sauce, garlic and ginger sound good? 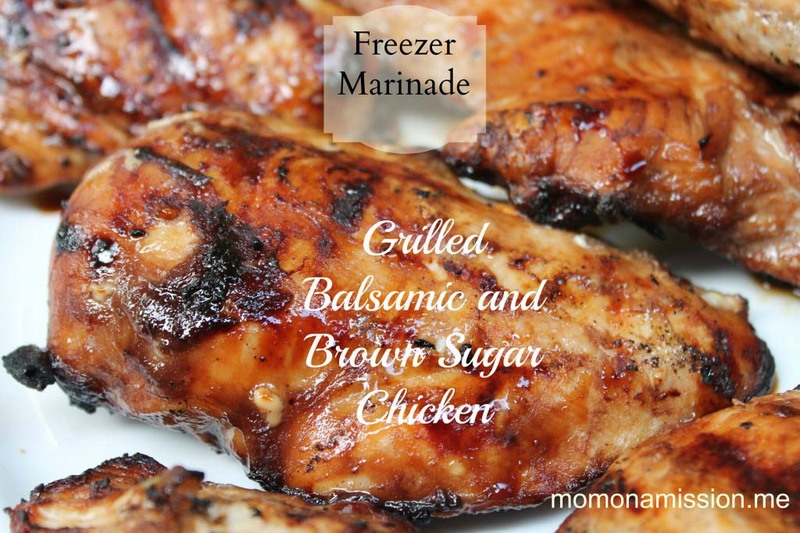 If you’re mouth is already drooling, try mixing this easy freezer marinade before you freeze your chicken cutlets and you’ll thank yourself while you’re grilling. 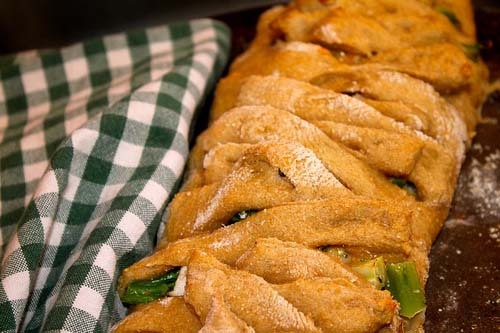 This is a recipe we have made in our Cook and play groups before and it was a big hit. I like to buy several family size pkgs of chicken and marinate it before it is frozen. I’ll take you through the steps and show you how easy and versatile and delicious this chicken is to make. I cut the chicken into large 2″ chunks for stir-fry or kabab if I decide to grill it with chunks of squash, onions or zuchinni. yum. A glass measuring cup or large coffee cup will assist in holding the bag upright while you fill it with marinade. Lay it flat to carefully squeeze out air without squeezing out the marinade. I’ve labeled and dated my chicken (in case I make more at a later date I want to be sure to use this first). You can see these two flat bags take up less space in my freezer than the two large trays earlier plus it’s ready to grill or pan fry without the prep work. Enjoy the recipe! Butterfly breasts and divide between two freezer bags. 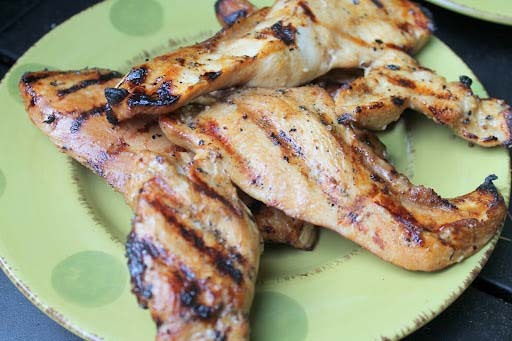 Combine all the marinade ingredients and mix well to distribute honey. Divide marinade between two bags of chicken. Squeeze air out and seal. Freeze. Thaw 24 hours in a plastic shoe box or overnight. Grill until juices run clear. Serve on a bed of hot cooked brown rice. Thread the cubes on skewers for Asian Kebabs. Slice into smaller strips prior to marinating for stir-fry; add veges and cooked brown rice. Place bag in a plastic shoe box to catch the condensation while thawing in the fridge. Wash box after use to prevent cross contamination. I love freeze marinade stuffs in the fridge, too. It make cooking so quick and easy. This honey chicken sounds really amazing… I can’t wait to try it.